Ceramic coatings are one of the most popular forms of paint protection for vehicle owners. Coatings like Ceramic Pro are praised for giving cars the most amazing shine while protecting the paint from the elements and wear caused by regular washing. When we think about ceramic substances, we often think about tough and durable items that last for years. 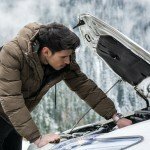 While ceramic coatings for cars are incredibly durable, they are not invincible and there are a few common misconceptions out there. Here are some of the most common myths to ensure that you have a proper understanding and realistic expectations when opting for a ceramic coat. While this coating is great for protecting against surface scratches that are caused by dirt, dust, and some forms of washing, it doesn’t make your car’s paint unscratchable. 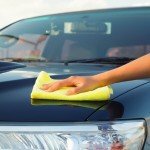 Scratches can still occur if you drop your sponge on the floor and use it to wash your car again! For the most part, coatings have a 9H rating on the pencil scale which means that they have the highest scratch resistance. Ceramic coatings are not, however, thick or flexible enough to handle the impact of a rock hitting your car on the highway or if somebody feels like ‘keying’ your vehicle. When excessive force is used, there is no substance that will prevent damage – not even ceramic coatings. 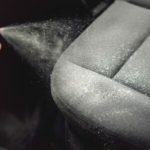 Too many people assume that a ceramic layer means that they don’t need to worry about cleaning or caring for their car. This is a potentially harmful misconception because regular cleaning is needed in order to maintain the ceramic coat. If you allow dirt and grime to build up, it will take its toll on the ceramic layer and it will cause it to wear down faster. If you keep the surface clean, it will make the ceramic layer that much more effective at repelling water and reduce the risk of damage to your paintwork. With this in mind, it is worth mentioning that there are some forms of maintenance that you may be able to skip – like regular waxing. Instead, you could have the ceramic layer touched up with a special spray every few months if necessary. Cleaning your car is easier because dirt does not stick to the paint which means that washing will not feel like such a chore. Because of the durable nature of this coating, many people believe that they will only need one coating and it will never need to be reapplied. The truth is that this coating is by no means permanent and it does need to be reapplied from time to time. Your ceramic coating will last longer if you maintain your vehicle through regular washing. Avoid automatic washes – even a ceramic coat won’t protect your car from those harsh brushes. There are some DIY kits that might be ‘easy’ to apply but there is no substitute for a professional application. When a professional team applies this coat, they take several important steps to ensure best results. It’s important to understand that the ceramic layer will seal your car’s paint. This means that it will also seal any impurities that are still on the surface. Which is why it’s important for the car to be thoroughly washed before clay bars are used to remove impurities and the exterior is then buffed. Once this is done and your car looks its best, it’s time for some ceramic. So, when you consider the whole process, it’s no wonder why so many people choose to have their car coated by professionals. This is somewhat true but it’s not actually the coating itself that is responsible for the perfect shine. What it does is seal and protect the shine. In other words, once your car is perfectly clean and buffed, the ceramic layer is applied and this acts as a protective layer to lock in the gloss. Wax and polish are similar but they aren’t as effective and they don’t last as long. Also, if there are any imperfections like dirt, dust, or swirl marks on the car before the coating is applied, these marks will remain. All the more reason why it’s so important to ensure that your car looks absolutely perfect before ceramic coatings like Ceramic Pro are applied. 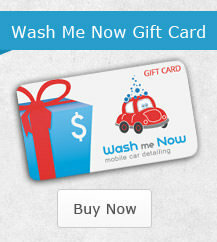 Wash Me Now is proud to be Ceramic Pro certified and our team is ready and waiting to transform your vehicle! 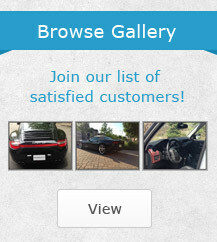 With our expert mobile car detailing services, your vehicle will always look its best. 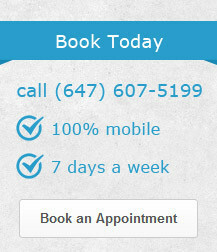 Call (647) 607-5199 today to schedule a ceramic coating with our expert team.